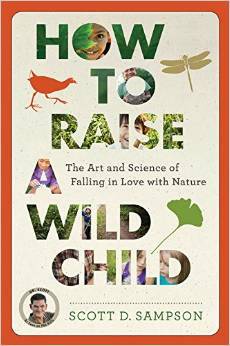 ① HOW TO RAISE A WILD CHILD | ② REWILDING REVOLUTION | ③ DINOSAURS OF THE LOST CONTINENT | ④ DR.SCOTT TALKS DINOSAURS! American children currently spend about seven hours a day staring at screens, versus seven minutes playing outdoors. Yet recent research indicates that abundant experience in nature is essential for healthy growth. Regular exposure to natural settings can help relieve stress, depression, and attention deficits. It can reduce bullying, combat illness, and boost academic scores. Most critical of all, abundant time in nature can yield long-term benefits in children’s cognitive, emotional, and social development. Tapping into the latest research findings summarized in his book, How to Raise a Wild Child, Sampson offers timely guidance to parents, educators, and others interested in mentoring strong bonds between children and nature. Recent studies underline our physical and psychological need for nature, as well as the power of experiential, place-based learning. Ecological sustainability—humanity living in a mutually enhancing relationship with the rest of nature—may well be impossible unless people care for the places they live. Yet here in the high-tech 21st Century, we’ve become more alienated from nearby nature than ever before. At this perilous moment in history, how can we broker a new human-nature relationship, one that embraces both technology and the natural world? The answer, says Scott Sampson, is a rewilding revolution that transforms our cities into nature-rich habitats. In this presentation, Sampson outlines the key elements of this revolution, and describes how you can participate. For more than a century, paleontologists have been collecting abundant, often spectacular dinosaur fossils from the Western Interior of North America, with the bulk of these remains found in rocks dating to the final stages of the Cretaceous Period. Only recently have we learned that most of these dinosaurs—among them horned, duck-billed, dome-headed, and armored plant-eaters, as well as giant tyrannosaur meat-eaters and smaller “raptor-like” predators—existed on a “lost continent,” today referred to as “Laramidia.” About 96 million years ago, exceptionally high sea levels flooded central North America, resulting in a north-south oriented seaway extending from the Arctic Ocean to the Gulf of Mexico. This shallow sea isolated life-forms on the eastern and western landmasses for most the next 26 million years. We know little of what happened on the eastern landmass, but its western counterpart, Laramidia, witnessed a tremendous florescence of dinosaurs and other Cretaceous life forms. Surprisingly, despite the small size of Laramidia (less than one-quarter the size of present day North America) and giant sizes of many of the dinosaurs, different species co-existed in the northern and southern regions, at least during certain intervals. The strongest evidence of these isolated dinosaur “provinces” comes from Grand Staircase-Escalante National Monument, southern Utah, which has recently revealed a previously unknown assemblage of dinosaurs. How were so many giant animals able to co-exist on such a diminutive landmass? Why were most of these dinosaurs adorned with bizarre bony features such as horns, crests, domes, or spikes? What lessons do these ancient fossils have for humans living on a warming planet? Scott Sampson—better known as “Dr. Scott the Paleontologist,” host of the hit PBS KIDS series, Dinosaur Train—will address these questions and more. A book signing will follow. ④ Dr. Scott Talks Dinosaurs! This kid-friendly interactive presentation—tailored for 2-8 year-olds and all other dinosaur enthusiasts—offers Junior Paleontologists a chance to learn the ins and outs of being a dinosaur paleontologist, from that "Aha" moment of discovery, to digging up fossils, to preparing them back at the museum, to studying them as a scientist. What is a dinosaur and what isn't? How do we reconstruct dinosaurs? What did dinosaurs eat? Dr. Scott the Paleontologist, host of the PBS KIDS hit series, Dinosaur Train, will lead this lively tour and even share a BIG secret at the end. Scott Sampson is a dinosaur paleontologist, science communicator, museum executive, and passionate advocate for connecting people with nature. He is President and CEO of Science World at Telus World of Science, one of Vancouver, British Columbia's most popular cultural attractions and a nationally recognized leader in science learning. Born and raised in Vancouver, British Columbia, Scott previously served as Vice President of Research and Collections and Chief Curator at the Denver Museum of Nature & Science. He is best known as “Dr. Scott,” host and science advisor of the Emmy-nominated PBS KIDS television series Dinosaur Train, produced by the Jim Henson Company. He has published numerous scientific and popular articles, and he regularly speaks to audiences of all ages on a range of topics. 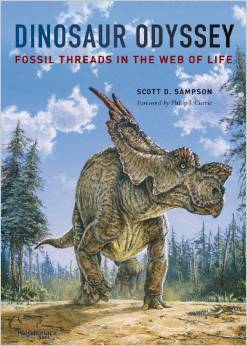 Sampson is author of Dinosaur Odyssey: Fossil Threads in the Web of Life (University of California Press, 2009) and, mostly recently, How to Raise a Wild Child: The Art and Science of Falling in Love with Nature (Houghton Mifflin Harcourt, 2015).